Happy October, y’all! Recently I had the pleasure of meeting Jen from dapperhouse blog. She is a fantastic blogger who, like me, also happens to be a mom to 3 and someone who strives to be real with her audience, in all areas of her life. We connect on a lot of levels, and for a new blogger like myself I look to her for inspiration and advice as I am trying to grow my brand and cultivate my style. I’ve realized that one of the best (and most unexpected) parts of the blogging world is the community. How great is it to share passion and creativity with a supportive group of fellow creators who truly want you to succeed? It’s been an amazing experience and I have met so many talented, caring and astounding people along this journey. Another exciting by-product of being in the blogging world is guest posting. To be able to share my work with a new audience, and in return give my readers a peek into someone else’s talent is such a plus. I’m so grateful to be guest posting for Jen. I use her blog as a resource for a lot of different areas of my life, from arts and crafts to self-care, from health and fitness to style a beauty. Me, I do what I do best. And that’s cook. 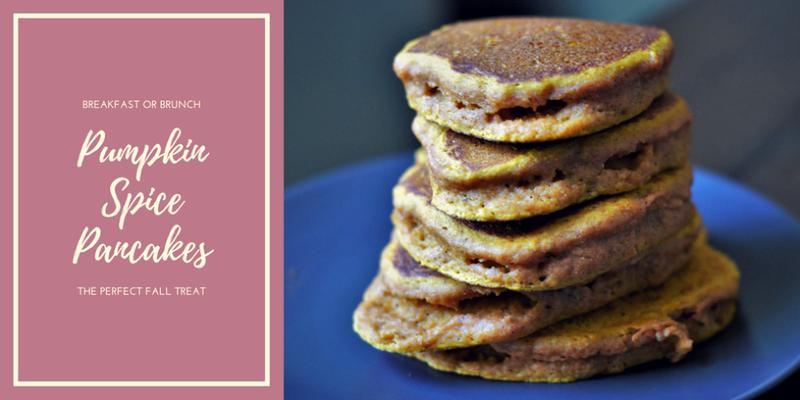 So today I want to share with you my recipe for Pumpkin Spice Pancakes. I received this recipe a long time ago from my daughters pre-school teacher. It’s easy. It’s fun, and it’s sure to be a hit with all of your family–whether your kids are elementary age like mine or growing into adulthood like Jen’s. Whisk pancake mix and dry spices together. In another bowl, beat eggs and brown sugar together, then add the rest of the liquid ingredients. Combine dry and wet ingredients and mix well. On a griddle heated to medium heat (or 350), drop by ladel-full about 2 inches apart. Cook on one side until bubbling and flip, cookig 1 or 2 minutes more. Oh my gosh, these look delicious! My boys love pancakes and always say they want to try new ones, so we may be making these for a weekend breakfast soon! Mmmmmm these sound perfect for chilly, fall-like mornings! I can take them already with some warm maple syrup. Yum. My 2-year old would love these! Thanks for sharing! Pancakes will be forever my favorite Sunday breakfast! They make me think about the times I was still living with my parents, such happy times! I still want to try pumpkin spice, I haven’t seen it in this part of the world. I can imagine how good this tastes and smells! I would love to give this recipe a try! One of the things that I look forward during this season is all the pumpkin recipes! I love pancakes and also my son tells me that pancakes are what I cook best! I’ll do your recipe to see if he likes it too! it seems to be very yummy! Great photos. these look ridiculously delicious. i am all for pumpkin anything this season. i’m sure the kids absolutely loved it! YUM! It’s a cold fall day here today so I would love to make a stack of these. Looks so good. Wow these look delicious. Always looking for new recipes thanks for sharing can’t wait to try! OMG this makes me so hungry I wish I could make these gluten free!! Pumpkin spice pancakes are awesome I am sure. 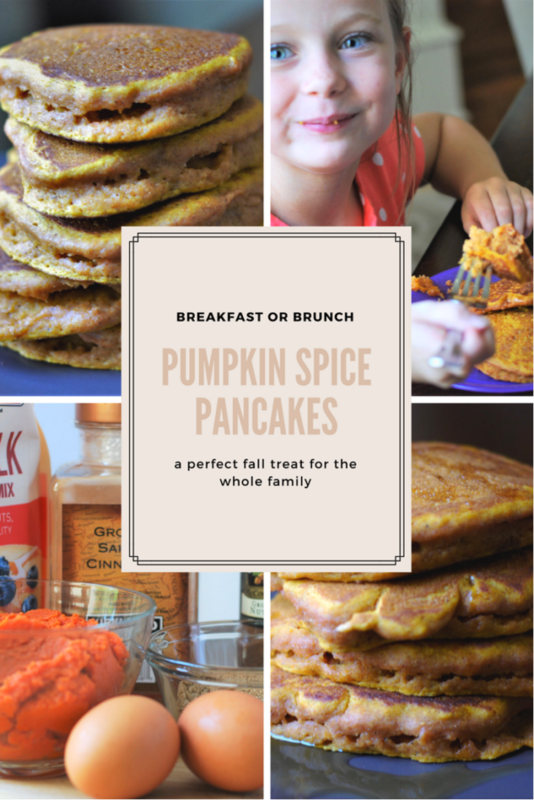 I love pancakes and adding a little pumpkin to it sounds absolutely delicious. I know my daughter would love these pancakes. They would be absolutely delicious. Yum these look so good! I love pancakes, especially pumpkin pancakes. They’re one of my favorites. 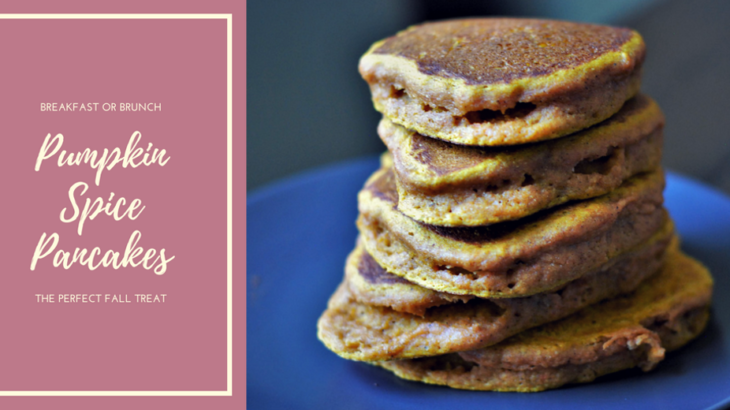 Pumpkin Spice pancakes are my absolute favorite kind of pancakes. The only difference is I add pecans and buttercream cake frosting in the mix. Oh My Good Delish!! !